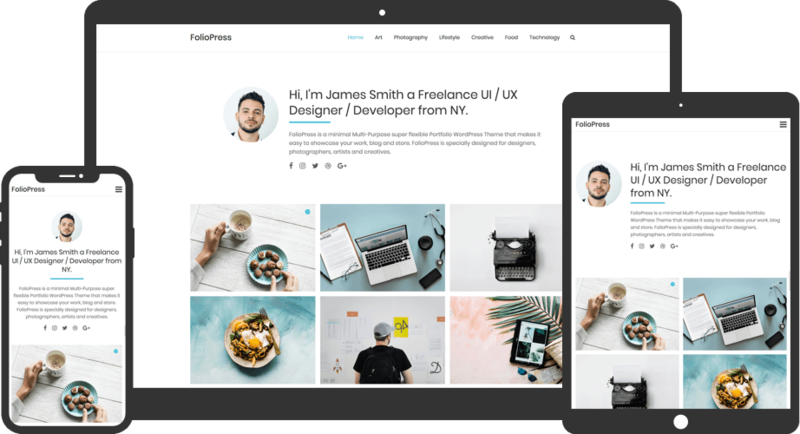 FolioPress Pro is a minimal Multi-Purpose super flexible Portfolio WordPress Theme that makes it easy to showcase your work, blog and store. FolioPress is specially designed for designers, photographers, artists and creatives. Here comes the Premium version of our free theme FolioPress with lots of amazing features as per our user’s suggestions and request. Have a look, what’s new on FolioPress Pro.